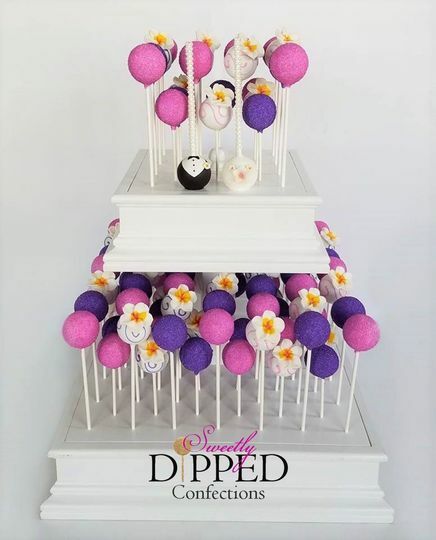 Sweetly Dipped Confections is a cake pop baker based out of Tampa, Florida. 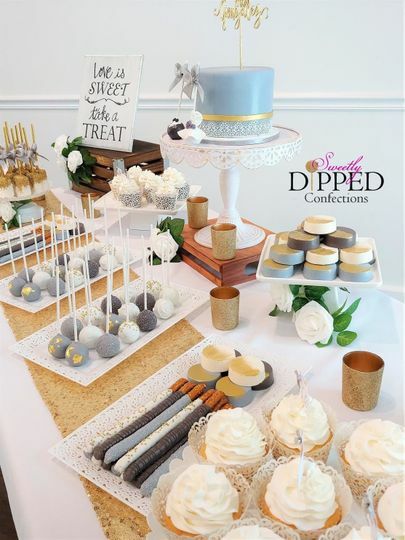 All of Sweetly Dipped Confections are 100% cake and 100% delicious. 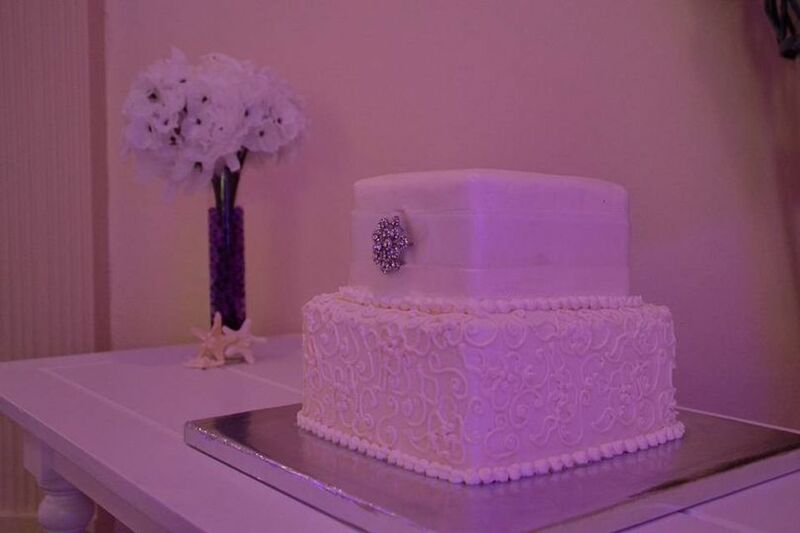 The company's creations are not mixed with frosting, giving them that genuine cupcake-like texture that you expect. 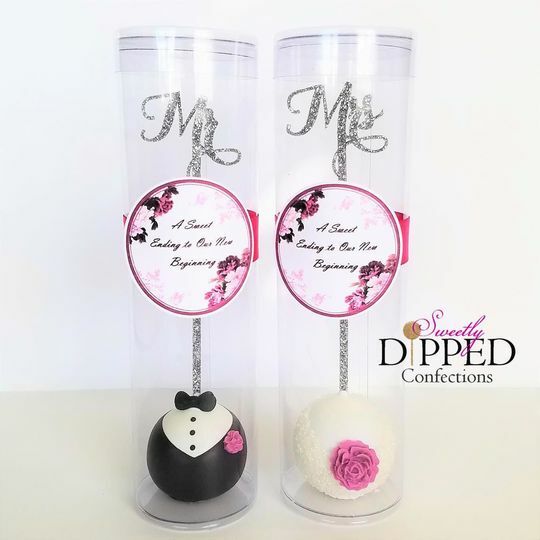 Each of their cake pop designs is like a work of art and can be custommade to fit the unique personality of you and your partner. 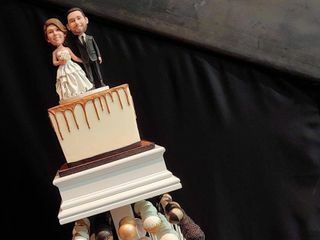 Brandi, the owner and operator, has been making chocolate dipped desserts since 2012 and is passionate about helping couples celebrate their very special wedding day. Hands down the best Cake pops I have ever had!!! 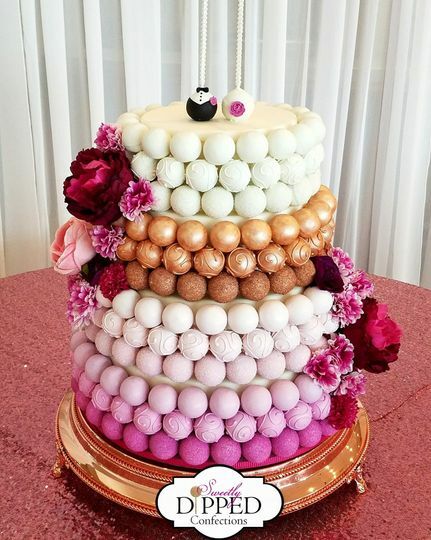 We chose cake pops over a traditional wedding cake and we are so happy we did. Such a unique idea and Brandi did an amazing job!! 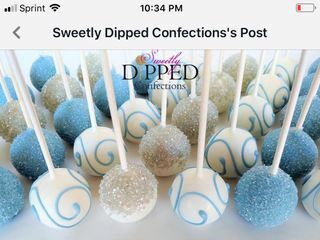 I look forward to using Sweetly Dipped again in the future. You are so sweet, Brianna. Thank you for an amazing review, and for your trust in making everything!! I look forward to working with you again, too! 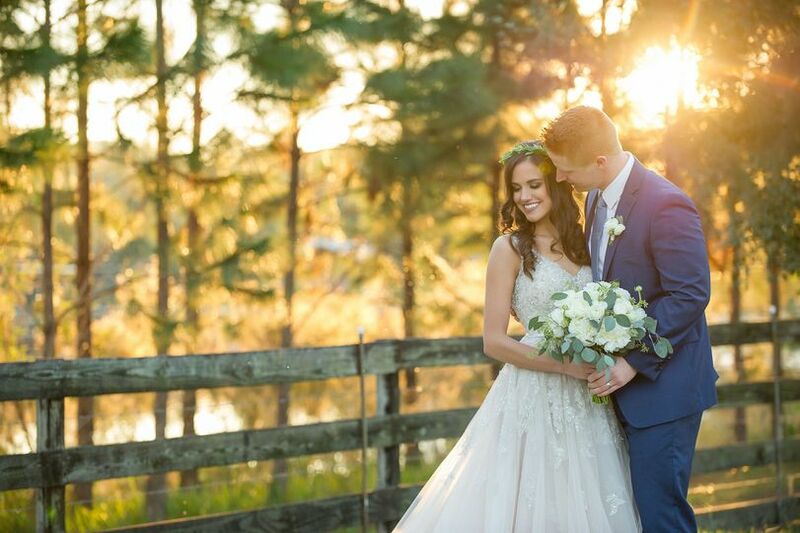 Best wishes for you and Derrick! Everyone loved the pops and they were a perfect addition to our luncheon! And the couple left over have come in really handy for breakfast treats!! These were so fun to make, Jenn, and I'm thrilled you loved them! Thank you for letting me be a part of such a fun event & congratulations again! 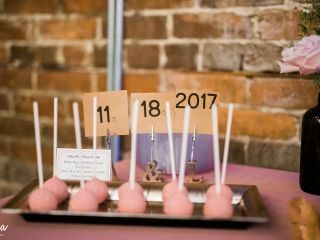 We ordered cake pops and pretzals for our wedding... wow, just wow!! Not only were they beautiful, they tasted amazing too! The attention to detail with the perfectly matched colors and handmade flavor guide I mean, I was blown away!!!!! They were gone in minutes!! 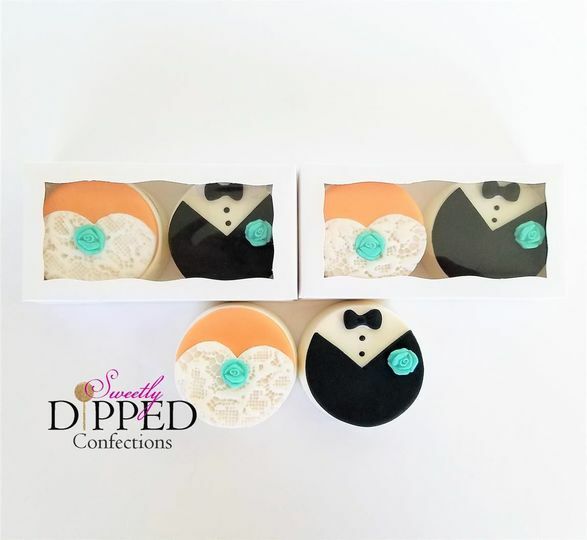 I will definitely be ordering more from Sweetly Dipped! Thank you for adding so much sweetness to our wedding day!!!! Jenna, this make me so happy to hear! I am thrilled everyone enjoyed the sweets, and I'm honored to have been a part of your celebration. Brandi!! So, you want cake pops, huh? LOL! 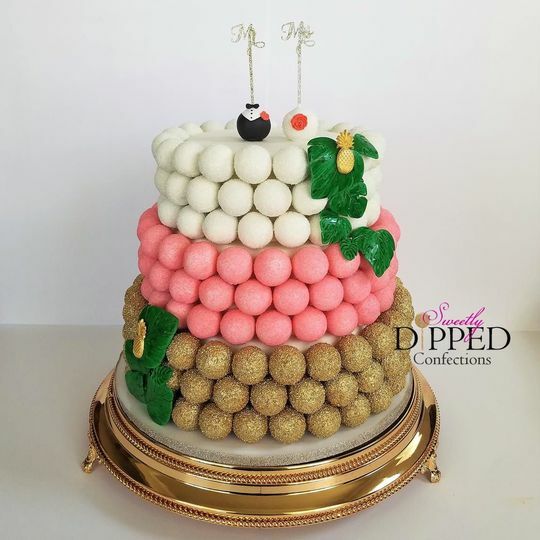 Let me tell you; Bradi with Sweetly Dipped Confections don&apos;t just make "cake pops". Oh, honey, nooooo!!! They are intricately detailed works of art that&apos;s meant to be cherished. If you get the chance, look for her disco dancers cake pops! These are SO me!! If you meet me, you&apos;ll understand, LOL! Anyway, I totally endorse this rare unique talented artist to the fullest.